According to Pythagoras, a Greek philosopher, mathematician, and astronomer, the Tetractys was like a key to the secrets of the Universe. A natural code around the first four positive integers (1, 2, 3, 4) and their sum (10) which represented a magic number. The Tetractys creates a perfect equilateral triangle which, when reversed, takes the form of a heart. 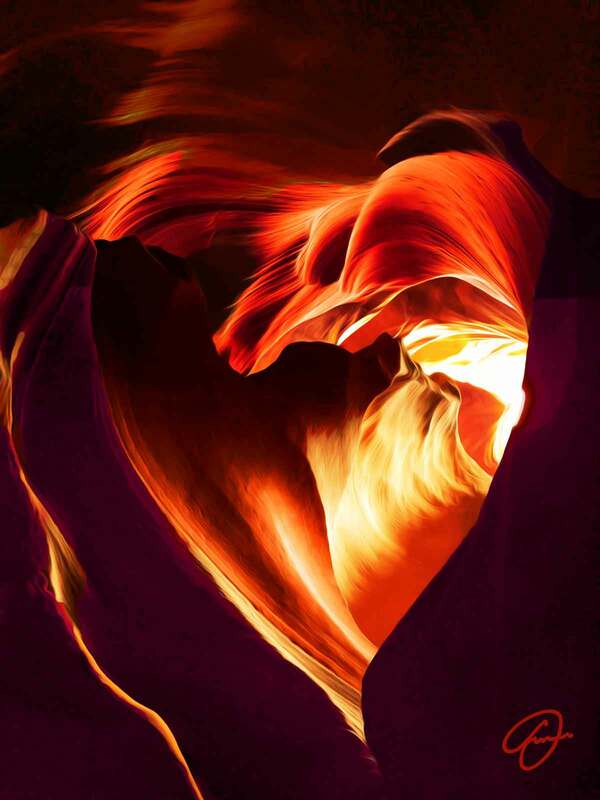 The Tetractys is part of the ‘Heart’ series drawn from the earth, water, wind, and sun in a canyon in Arizona.